It’s easy to invest in someone based on their business concept or projected financial returns… but what about their ability to handle the process of growing a sustainable business? Startup founders who aren’t respected in the marketplace, by their partners, potential customers and team can be a disaster. What good is investing in a business idea if the man or woman at the helm isn’t ready to run the show? 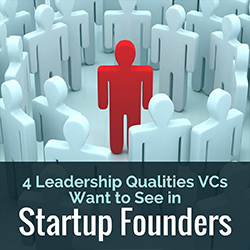 Take a look at the top four leadership qualities venture capitalists must identify in a startup founder to ensure a successful partnership. When startup founders are oblivious to their weaknesses, they can lose respect from their team and potential target markets. What’s a startup founder without engaged employees, brand ambassadors or a solid board? The answer: a lot of hype with very little return. Founders can’t do everything on their own, and nobody wants to work for a tyrant, no matter how big of a payoff is promised in the end. Even some of Steve Job’s earliest employees have gone on record saying they still wouldn’t have continued to work for him even knowing how successful they could have become, according to Apple co-founder Steve Wozniak. Self-awareness means the founder has perspectives of how others may see them and their product. Context from customers, co-founders and investors allow founders to make better decisions regarding the health of their product roadmap and business performance overall. In addition, founders who are aware of their strengths and weaknesses can identify what’s missing and bring on the right people to fill those holes or pivot the product if needed. How to Spot a Self-Aware Startup Founder: If the founder accepts criticism on his or her product, team and business plan, they are likely very self-aware. If they’re unable to accept outside help or understand a skill set outside their sweet spot (say a technical founder who is unwilling or unable to grasp the importance of marketing) you may be talking with a founder lacking in self-awareness. Ask the founder to list their weaknesses, as well as the weaknesses or holes in their team or products. You should also ask what plans they have for the money. Accelerate is not a complete answer. You need detailed plans of how your investment will be spent and where it will advance the product or mission, or grow the customer base. Working with a startup founder who doesn’t accept feedback is a recipe for disaster. This is not news. Employees don’t want to work for a startup founder who doesn’t take their considerations seriously and neither do co-founders and investors. Therefore, identifying startup founders who have the unique ability to balance what they think is right with what others think is right is crucial. Listening must be extended to those investing in the product. If a startup founder you’re considering investing in brushes off your feedback or is determined to do it their way, regardless of feedback, they’re not going to change when you hand them a check. Look for a Listener that hypothetically A/B tests their own perspective with that of others. A startup founder can think it’s their way or the highway, but if they’re open to new ideas and feedback they should be able to A/B test opposing opinions. With technology, it’s possible, and the most savvy startup founders will do this to test their team and themselves. One caveat? Keep in mind that a startup founder who follows every piece of feedback they get will likely get nowhere. Make sure your startup founder has both the ability to listen and pairs it with discernment. Founders need to be able to communicate what’s working and what’s not and provide analytics and factual data to communicate successes and failures so VCs are in tune. Communication is about more than simply keeping investors in the loop, it means letting VCs, client, board members and employees in the loop when something changes or pivots. Evaluate Startup Founders for These Traits: The best startup founders focus on the data and facts that drive their vision, values, strategy and goals. When communicating with startup founders, look for those who leave emotion and bias out of the conversation and can provide concrete evidence and information. It’s easy to spot a poor communicator in your startup pool of founders. If you never hear from them, or every update is focused merely on the positive, you may have a poor communicator on your hands. Ask employees and check out social media accounts, as well as the website, to see just how open they are with data, information and updates. The startup founders who keep asking, keep testing and keep guessing should be the most sought after because they’re never satisfied with staying the same and always looking to take things to the next level. For the savvy VC, this means they’re going to make product improvements faster, drive their team better and build up a client base that’s based on the long-term. Find a Curious George: Look for founders who invite investors into their exploration. Founders who provide data about progress to date or can walk investors through financial models with conscious curiosity are most transparent about the path they envision their company taking. In addition, they understand where they’ve been and use hindsight to develop stronger foundations and continue to take even more risks. What qualities do you look for in a startup founder? Share with me in the comments! 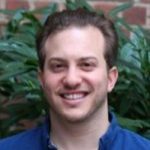 Jonathan Kestenbaum is the executive director of Talent Tech Labs. Talent Tech Labs was originally founded to foster the growth and development of emerging ideas and companies in the talent acquisition technology space. An entrepreneur at heart, he spends his days building and advising the technology companies of tomorrow.